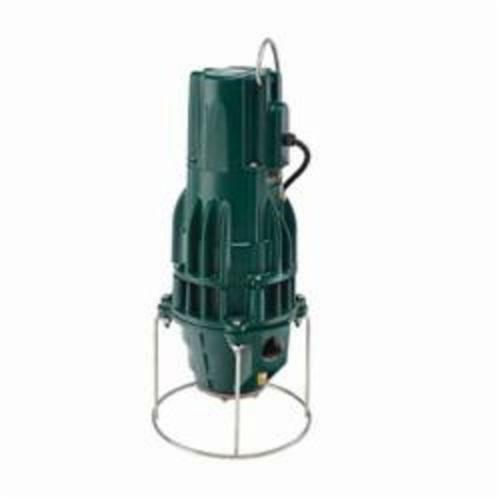 This series of submersible pumps is designed for use in residential or commercial wastewater applications and can be used to transfer wastewater or unscreened raw sewage. Each pump features an innovative cutting mechanism allowing it to grind solids into fine particles. The uniform consistency of the discharged material lessens the risk of clogs in the pipe, yielding less down time and fewer service calls. These durable cast iron pumps include a powder coated epoxy finish to prevent corrosion, and are designed to provide great heat dissipation from the motor. As with every Zoeller® pump, each one is 100% factory tested to ensure quality and reliability for years of trouble free performance.